As an association of national member organisations, BETTER FINANCE is supported by a small professional Brussels-based team and our friends on Facebook and LinkedIn. New members and supporters are always welcome to get involved. Our team consists of finance professionals, lobbyists and communication specialists who carry out the core activities of BETTER FINANCE. 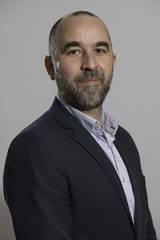 Guillaume Prache is the Managing Director of BETTER FINANCE, the European Federation of Investors and Financial Services Users. 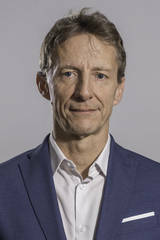 He is also one of the experts representing financial services users before the European Commission (as member and vice chair of the Financial Services User Group – FSUG), before the European Securities & Markets Authority (as member and former chair of the ESMA Securities & Markets Stakeholder Group), before the European Insurance and Occupational Pensions Authority (as member of the EIOPA Occupational Pensions Stakeholder Group) and before the French financial regulator AMF. He started as a magistrate at the French Court of Auditors, and has an extended and international experience in financial matters, most recently as Chief Financial Officer of US-based Rhône-Poulenc Rorer, Inc., a “Fortune 500” publicly-listed pharmaceutical company (today Sanofi) from 1997 to 2000, and then as Managing Director of the European subsidiary of the Vanguard Group, Inc., a global leader in asset management, from 2000 to 2006. He has taught asset management for the CIWM (Certified International Wealth Manager) program, and wrote two books (and various articles on economics and finance). 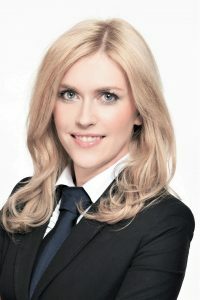 Aleksandra Mączyńska is coming from Warsaw, Poland, where she was the Deputy Director of the International Relations and Communication Department of the Polish consumer and competition watchdog. 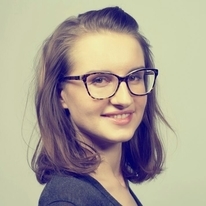 She studied at the Faculty of Management at the Poznan University of Economics and at the Warsaw School of Economics. She has also a vast experience in management of international projects, e.g. EU funded capacity building projects. As a Fellow of the Robert Bosch Foundation Programme for the Young Executives from the Public Sector, she worked at the Division for World Bank International Monetary Fund, Debt Issues and International Finance Structure at the German Federal Ministry for Economic Cooperation and Development. She was an expert at various EU Council’s Working Parties such as the WP on Financial Services and WP on Competitiveness and Growth, as well as European Commission’s Working Groups and Advisory Committees. One of her task was also external representation and managing professional networks such as Consumer Policy Network (CPN), International Consumer Protection and Enforcement Network (ICPEN), European Competition Network (ECN) and OECD Competition Committee. 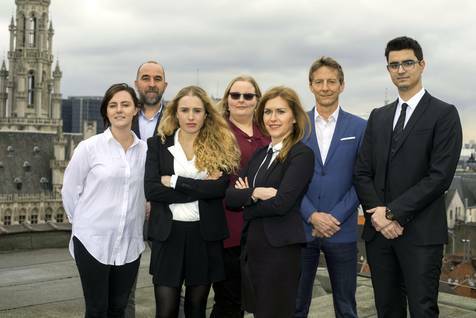 Arnaud Houdmont joined the team at BETTER FINANCE following a varied and multi-facetted career in the world of communication, press relations and research at the heart of Europe. During this time he worked closely with policy makers from the European Commission, the European Parliament and private sector stakeholders on topics such as youth employment, entrepreneurship, health policy, sustainability and innovation. Prior to this he earned a master’s degree in Global Communication from Goldsmith’s College (University of London) and a bachelor’s degree in International relations from Sussex University. His studies and career have given him a critical and analytical insight in a range of issues, as well as a profound knowledge of the political economy, media and the European institutions. On a personal level Arnaud is fascinated by all aspects relating to sustainable development and political economy. 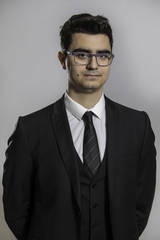 At BETTER FINANCE, Arnaud is responsible for all communications activities and the continued development of an inclusive communication strategy aimed at reaching all interested parties and stakeholders. He speaks fluent Dutch, English and French and has a very good working level of Spanish. Stefan Dragos Voicu joined the BETTER FINANCE team as Research Assistant for a 6-months period. He obtained a double degree in law: a Bachelor’s Degree in Romanian national law (University of Bucharest, Faculty of Law) and a Bachelor’s Degree in European and French Law, from the University Paris-Sorbonne. Subsequently, he decided to pursue a specialisation in EU Law. During the Master’s courses at Leiden University’s (Faculty of Law) LL.M. European Law, he focused on EU Internal Market & Competition Law, as well as on EU Institutional Law. He wrote his Master’s Thesis on the topic of EU Data Protection Law and Consent for Cookies. As part of his professional experience, Stefan undertook several internships at national and international law offices in Bucharest. He performed the activities of an intern in fields such as Banking Law. He has demonstrated a keen interest for the EU financial services sector. Before joining the BETTER FINANCE team as a Research Assistant, Norwegian national Lina Strandvåg Nagell completed several international traineeships, including time spent with Washington D.C. based firm Freedman Consulting, the Norwegian Foreign Ministry and the UN. Her professional experience extends to communication, research and policy work. While studying at the European University at St. Petersburg for an MA in Energy Politics, Lina focused on the financialization of commodities and oil price volatility. She is a recent graduate from the Brussels School of International Studies, where she obtained an LLM in International Law with a minor in International Political Economy. Her main areas of focus were international financial regulation as well as trade- and investment law. Lina holds two BAs from the University of Bergen, one in Economics and one in Comparative Politics. Aiste has joined Better Finance as a Communications Assistant for a 6 months period, after finishing her Master studies in Media Culture in Maastricht university. 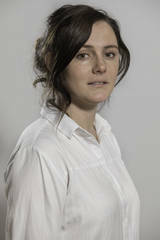 For the past year she has been analysing the new media practices and their effects on society and has contributed to making videos and podcasts, particularly in the content creation. In her Master thesis, she has looked, into the role of Facebook as a public sphere from users’ perspective, in order to gain understanding of the way the content is selected and perceived by them. Aiste has a bachelor’s degree in Political Science and a lot of experience in the customer facing environment, where she has learned how to adapt communication to diverse audiences. She is passionate about digital communication and FinTech. Aiste’s mother tongue is Lithuanian, she is fluent in English, has a good working level of French and the basics of Spanish. In August 2018, Judith joined Better Finance as Senior Advisor. She has a substantial track record in leading European associations specialized in financial services. From May 2014 until June 2018, Judith was the Managing Director of the Swiss Finance Council. It represents the interests of internationally active Swiss financial institutions in Brussels. Before joining the Council in 2014, Judith led the Federation of European Stock Exchanges (FESE) through two successive EU legislatures. In 2008, Judith was named Lobbyist of the Year by the Euromoney publication Compliance Reporter for her contribution to the adoption of the European Code of Conduct on Clearing and Settlement. 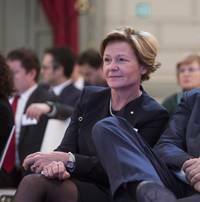 From 1993 to 2004 she was the CEO of the European Mortgage Federation (EMF) which represents the interest of mortgage banks and building societies in Europe. Whilst at the EMF, she was instrumental in the successful launch of the European Covered Bond Council (ECBC) and the adoption of the European code of conduct on mortgage credit. She served two terms as Vice-Chair of the Securities and Markets Stakeholder Group and she chaired the European Parliament Financial Services Forum from 2005 to 2007. Judith Hardt is also a lecturer at the Solvay Business and teaches ‘Financial Infrastructures’ for the Advanced Master in Financial Markets. 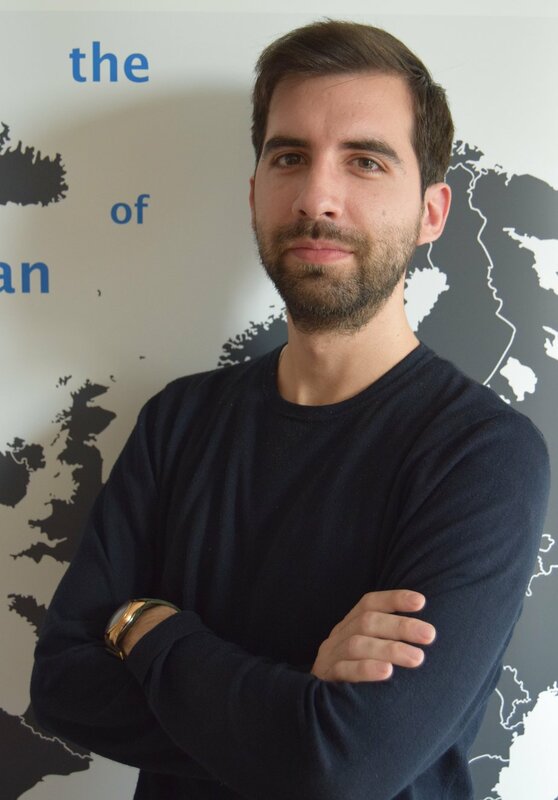 Edoardo Carlucci is Research and Policy Officer at Better Finance. He obtained his Bachelor degree in Economics, Finance and Management with Law at Sapienza University of Rome, with a thesis on “Shareholding and Interlocking Directorates in the Italian Corporate Governance”. In 2014, he graduated at the ULB University obtaining the Master Degree in European Studies with Economic Specialization. He wrote an analytical thesis on the “Fragmentation of the European Financial Markets”. He previously worked in the European Institutions and Civil Society Organizations dealing with various aspects of economic issues and policies such as EU Internal Market, EU Competition Policies, Public Procurement and SMEs. He also worked on research projects and analysis as European Economic Forecasts. At BETTER FINANCE, Edoardo is responsible for various policy and research areas such as Sustainable Finance, Fintech, Financial Reporting and Corporate Governance.